When looking for New York Carpet Tile, NYC Flooring Group carries a full line of carpet tile flooring for homes and businesses by the major manufacturers such as Shaw, Queen, Philadelphia, Mohawk, Aladdin, Durkan, Bigelow, Karastan, Lees, Holytex, Mannington, Masland, Milliken, Patcraft, Cambridge, Aqua, and Blueridge. The benefits to installing carpet tiles are numerous, beginning with easy installation. The carpet tiles cut easily, thereby adjusting the size to fit odd proportioned areas is no problem. Should the carpet stain, only the stained carpet tile need be replaced, whereas with broadloom carpets the entire carpet must be replaced. Choosing carpet tile also allows you greater design leeway, where patterns and designs using assorted carpet tiles can be implemented to create a custom, unique look for any room. NYC Flooring Group provides NYC commercial carpet tile installation, Manhattan commercial carpet tile installation, Brooklyn commercial carpet installation, Queens carpet tile installation, Long Island carpet tile installation, Nassau County carpet tile installation, Suffolk County carpet tile installation, Bronx carpet tile installation. Our price match guarantee ensures that no matter where you look for carpet tile prices, you won't find lower prices than ours. 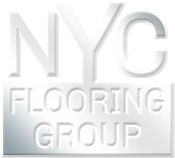 Contact NYC Flooring Group today for New York carpet tile pricing.